"We found clear associations between certain foods and severe asthma, hay fever (or allergic rhinoconjunctivitis) and eczema in the largest study of allergies in children (aged 6-7 years) and adolescents (13-14 years) to date," said study author Hywel Williams of the Centre for Evidence Based Dermatology, Queen's Medical Centre, University Hospital, Nottingham, UK. According to Williams, the associations between allergic diseases and fast food were "only really convincing for severe disease." Researchers saw a protective effect against severe asthma for those who ate fruit at least three times a week. Those consuming fast food three or more times a week had about a 30% increased risk of severe asthma, hay fever and eczema, a chronic skin condition that causes scaly, itchy rashes. The results were consistent in both age groups. Affluence and gender did not change or affect the outcome. "The cautionary notes are that this study showed an association, which does not always mean that the link between food and allergies is causal," Williams said. "It could be due to other factors linked to behavior that we have not measured, or it could be due to biases that occur in studies that measure disease and ask about previous food intake." 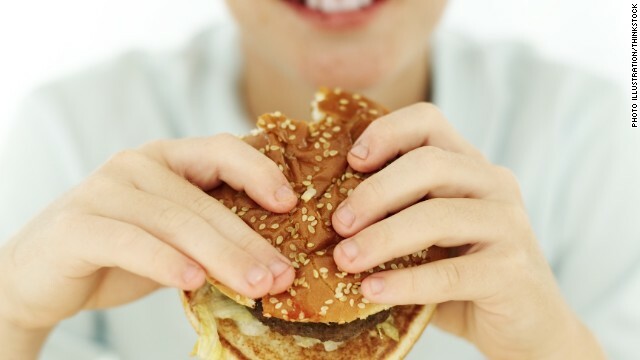 Study authors say if further research shows that consuming a lot of fast food actually does cause these types of allergies, it could have major public health implications because of the rise in fast food consumption globally. "It's not at all surprising to me that a disease as complex as asthma would be directly affected by diet. We've known for a while that diet can affect immune system function with certain foods being pro or anti-inflammatory," says Dr. Stephen Teach, who is the chief of the Division of Allergy and Immunology at Children's National Medical Center in Washington and was not involved in the research. "Given that asthma's inherently an inflammatory disease, with swelling and inflammation of the small to medium-size airways of the lung, it is not at all surprising that diet should affect those processes in some way." Teach said it's important to note that these are associations only. "In other words, it would be wrong to assume from the results of this study that fast foods directly cause allergic disease. It is possible that some unmeasured effect of socioeconomic status or environment which correlates with fast foods may in fact be responsible." Either way, Williams said, there is a take-home message for parents. He says you don't have to stop eating fast food entires, " but to eat a balanced diet with plenty of fresh fruit and maybe less fast food - one or two times per week rather than three or more - if your child has allergies."